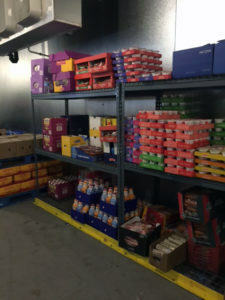 A supermarket chain required backroom shelving for numerous locations across the United States. It was determined that the ideal solution for this application was rivet shelving. Rather than go through multiple companies to fulfill each location’s needs, they sought to partner with one company who could supply all products. That company would also have to meet higher demands as the company expanded. REB began supplying rivet shelving units to the company in 2014, and the partnership continues to this day. REB is able to fulfill the high demand of backroom shelving products for the company because of two key advantages. Since 2014, REB has completed: 1,770 projects in 1,207 locations in 35 states. 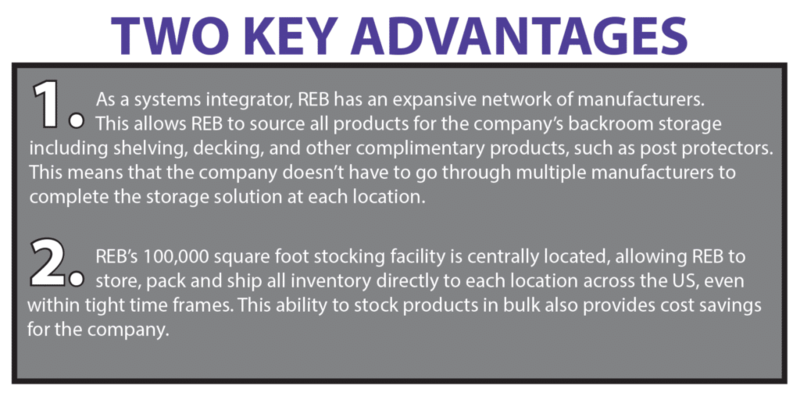 As their stocking distributor, REB works with the company to determine growth projections. This allows REB to purchase products in bulk ahead of time, which results in time and cost savings for the company. Do you have unique backroom storage requirements that need to be met?